Haitian President Michel Martelly has left office at the end of his term amid tension over how he is to be replaced. 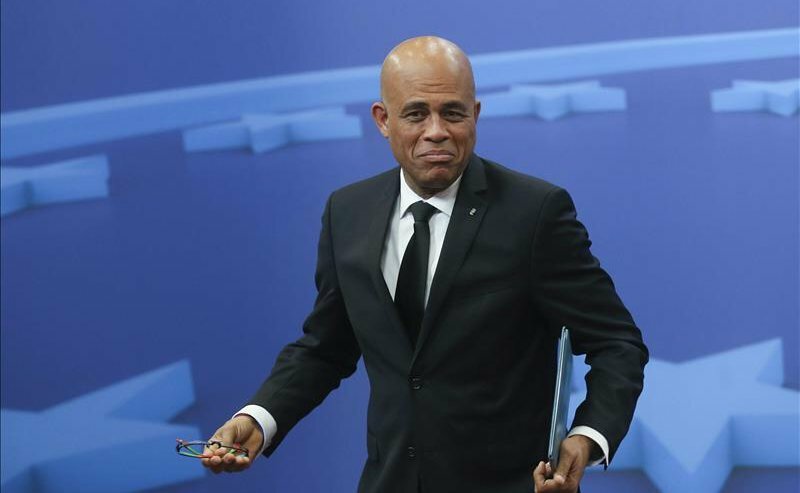 In a speech, Michel Martelly said his biggest regret was that January’s presidential election had been postponed. The runoff vote to elect Michel Martelly’s successor was shelved because of fears of violence and allegations of fraud. It will now be held on April 24, with a new president due to be sworn in on May 14. Michel Martelly is constitutionally barred from seeking re-election but has thrown his weight behind Jovenel Moise, a banana exporter who won the first round of the presidential election in November. However, the result has been contested by the opposition challenger, Jude Celestin. Jude Celestin accused the electoral authorities of favoring Jovenel Moise and threatened to pull out of the runoff vote. PM Evans Paul – who is due to remain in his post until parliament agrees his replacement – has appealed for calm. On February 5, protesters beat a man to death in the capital, Port-au-Prince, in a clash with ex-soldiers.